ZrB2–Al2O3 nanocomposite powder was produced by aluminothermic reduction in Al/ZrO2/B2O3 system. In this research, high energy ball milling was used to produce the necessary conditions to induce a mechanically induced self-sustaining reaction. The ignition time of the composite formation was found to be about 13 min. The synthesis mechanism in this system was investigated by examining the corresponding sub-reactions as well as changing the stoichiometry of reactants. Thermal behavior of the system was also studied. This study was financially supported by the Spanish government under Grant No. MAT2011-22981, which was financed in part by the European Regional Development Fund of 2007–2013. 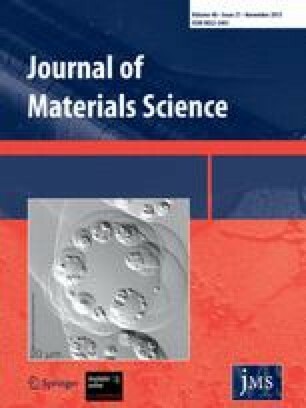 The work has been based on an initiation proposed by the School of Metallurgy and Materials Engineering of Iran university of science and technology as the PhD thesis subject of Mr. M. Jalaly who was granted the permission to accomplish his experiments with the facilities and co-supervision of Prof. F. J. Gotor in Instituto de Ciencia de Materiales de Sevilla, Sevilla, Spain.